Whatever I do, wherever I am, whoever I’m with . . . I want them to let me be ME. That’s my definition of love. Not fear. This is being written with immense love for my little guy Noah as part of the Love Not Fear flashblog. 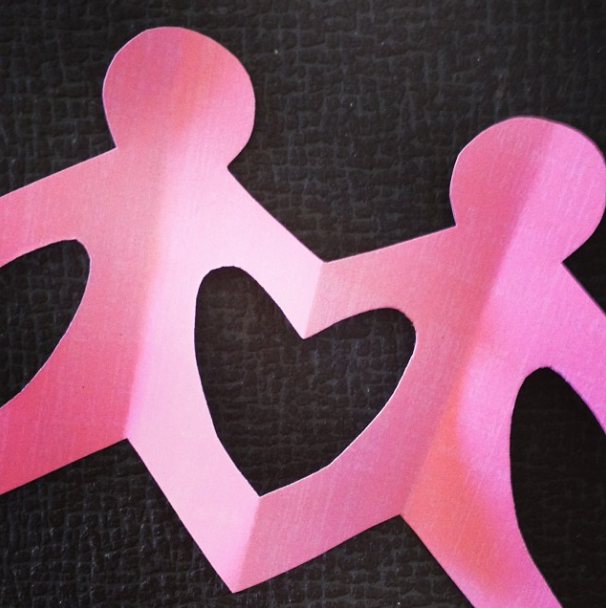 You will never feel anything but a part of our “imperfect perfect” family. 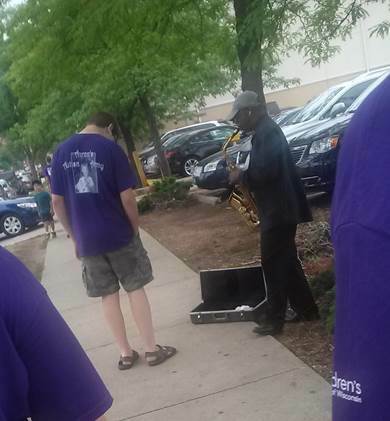 My son after leading his walk team at the annual fund raiser for the Autism Society of Southeast Wisconsin Dylan’s Run stopped to give whatever money was in his pocket to this man on the street. That’s love, that’s who my son is. He’s not a diagnosis, he’s a 16 year old with a heart of gold. Number 3 arrived a non-sleeper who loved intensely and had compassion for others like I’ve never seen in a toddler. I listened to fear. I felt fear. And for a short while I cultivated fear. I let the “what ifs” rule my life. What if I can’t cope? What if others in the family can’t cope? What will people think of me having another baby knowing the chances are that child will have a disability? What if a new baby is disabled? I battled my desire to have the 6th child I so wanted. And then I stopped. Mostly because I was too tired to keep the battling up. Fear was making me tired. Fear was making me stressed. Fear was causing me to worry about things that hadn’t happened. Fear was making me my own enemy. On his first birthday I was shown a blog I’d not seen before, and I read this. “……….Autism isn’t something that happened to me. parent, knowing that my child’s future was out of my control. There was a point in my life at which if you had told me I would have a Biploar husband and daughter and Autistic children I would have intentionally chosen a different path. Because I didn’t know any better. And at that point fear would have robbed me of the wonderful life I have now. At that point I had an idea in my mind of what marriage, relationships, parenting would be like. I know now that no matter who I chose as my life partner and no matter who my children turned out to be that idea was wrong. None of us can predict what our lives will be like. None of us know when we choose to have children who those children will be and what will happen in their lives. It is a risk every single time. A story for young kids about love not fear. There are two houses.There are two boys that live in these houses. Each house inside has one family living. Each member of each family has different ways of being. One house has the family that tells the boy he is loved . The family is not a family without the boy. All of the family members are loved as they are. They are loved for being.